The issue of land rights is an ongoing and complex topic of debate for South Africans. Rights to Land comes at a time when land redistribution by government is underway. This book seeks to understand the issues around land rights and distribution of land in South Africa and proposes that new policies and processes should be developed and adopted. It further provides an analysis of what went so wrong, and warns that a new phase of restitution may ignite conflicting ethnic claims and facilitate elite capture of land and rural resources. While there are no quick fixes, the first phase of restitution should be completed and the policy then curtailed. 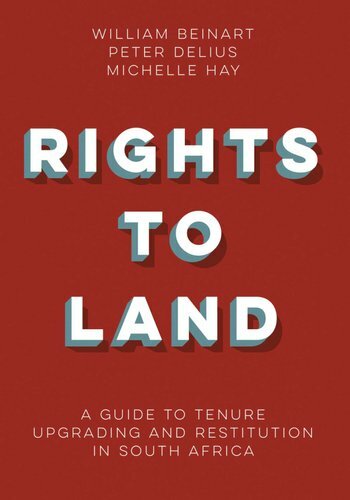 The book argues that land ownership and administration is important to rural democracy and that this should not be placed under the control of traditionalist intermediaries. Land restitution, initiated in 1994, was an important response to the injustices of the apartheid era. But it was intended as a limited and short-term process – initially to be completed in five years.